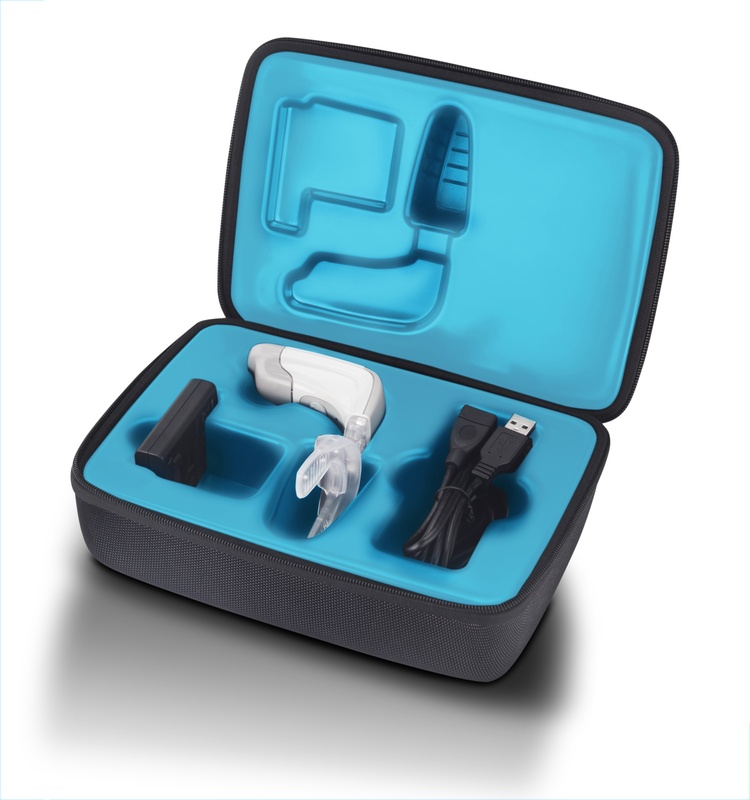 Acceledent – Clonmel Orthodontics Blog. Orthodontists would love to have a means of making teeth move faster. Recently another product “Acceledent® ” produced by OrthoAccel® has been intensively marketed with claims that it can speed up tooth movement by up to 50 % and possibly make the teeth less uncomfortable. It is intended to be used in combination with orthodontic treatment, it can be used with labial (outside braces) of the metal or ceramic type, or with inside braces (lingual braces ) for instance of the win™ or incognito™ or Harmony ™ type or with aligners like invisalign™ . This device is very similar to the VPRO5 ™ which is produced by Propel Orthodontics ™ and both devices would appear to have a similar suggested means of action. It is suggested that this device may accelerate orthodontic tooth movement (in a non-surgical way). The Propel VPRO5 was the subject of a separate blog in this series. 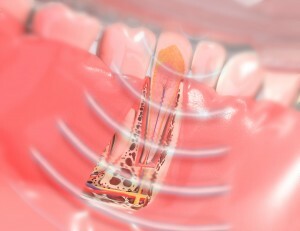 Acceledent® emits small vibrations or “micropulses” that it is suggested speed up tooth movement by 3 possible means. It is recommended by the manufacturers that it is worn for 20 minutes per day. Acceledent ™ device with mouth piece. The acceledent® device is being marketed very aggressively. However there is a lack of high quality research as to its effectiveness.That is, it possibly may not speed up orthodontic tooth ( 1 , 2 )movement or reduce discomfort. The appliance is expensive €850 -€1000. Orthodontics is replete with examples of devices and techniques that are marketed with fantastic claims and subsequently are shown not to be effective. I would prefer to wait until good quality research shows acceledent ® to be effective before I recommend its use to my patients.